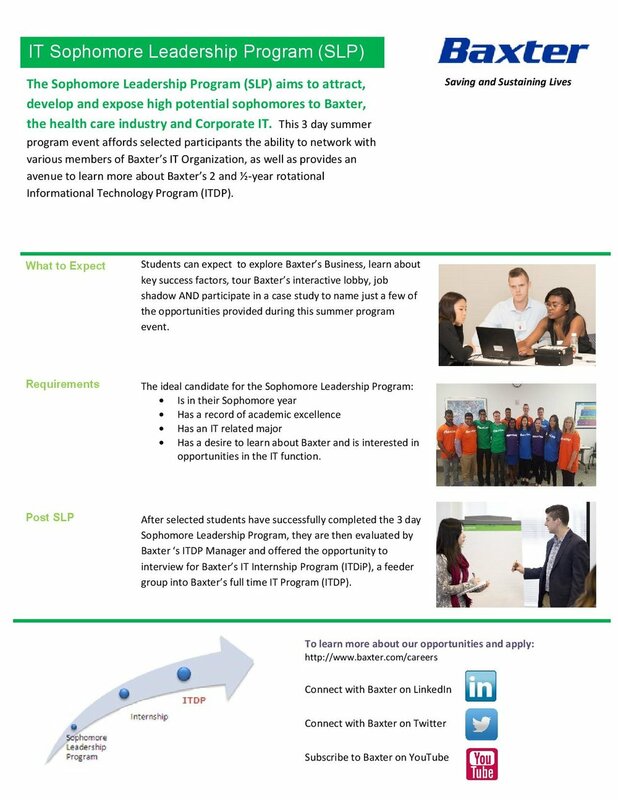 Baxter Healthcare is recruiting for its Technical Sophomore Leadership Program (SLP) held on August 13-15, 2018. The SLP program provides the chance to learn about the medical device industry while also opening potential opportunities for future summer internships. Students can expect to engage in an exciting ‘hackathon’-like innovation challenge, network with Baxter professionals, explore Baxter’s business, and learn about Baxter's product portfolio and R&D organization.